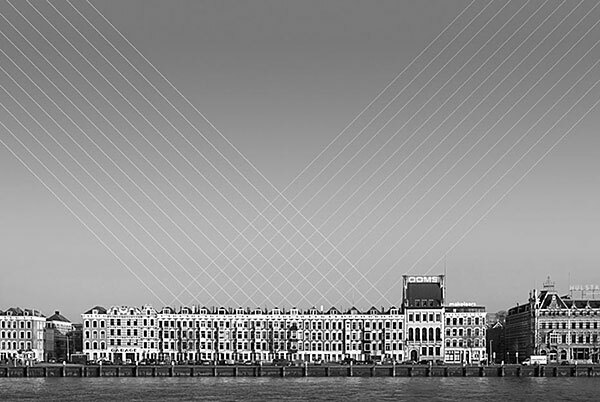 A series of dynamic photos of Rotterdam using photography techniques to emphasize graphic lines. 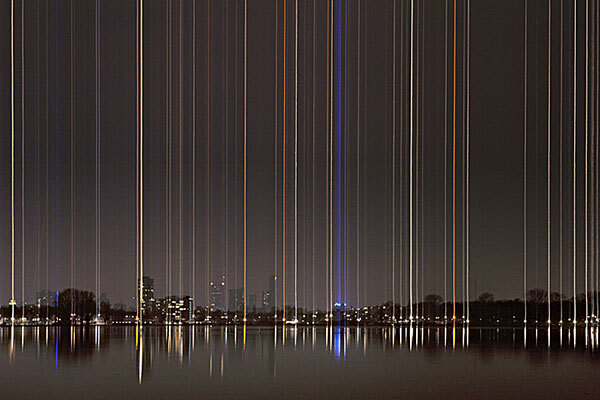 Skylights: By using a slow shutter speed, tripod and use of vertical pan, light traces in the air. 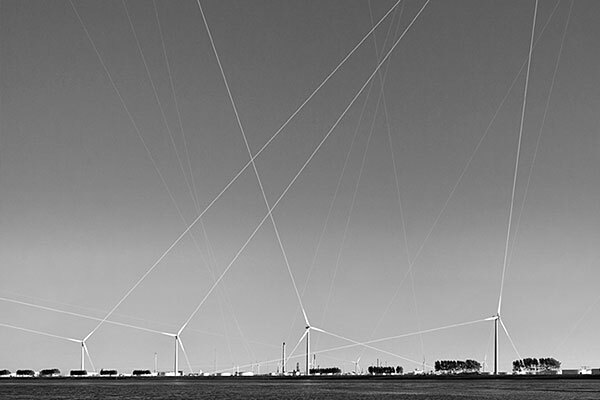 Each line has its origins in the landscape and ends in an abstract graphic pattern. 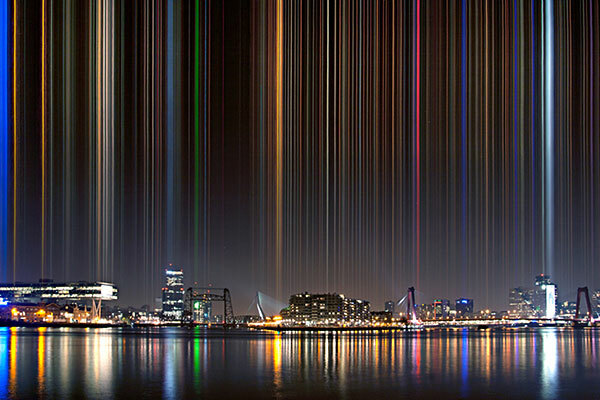 Skylines: Consists of four typical Rotterdam landscapes. 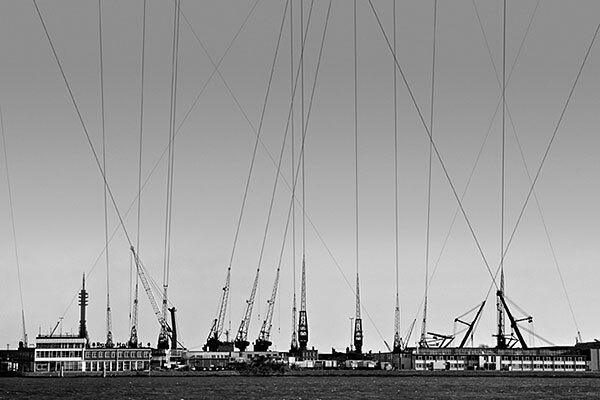 Robust images of the river lined with industrial architecture breathe the atmosphere of the port. In the photos you see invisible lines, arising out of the picture, made visible. This creates a dynamic interaction between the photographic image and the graphic lines. 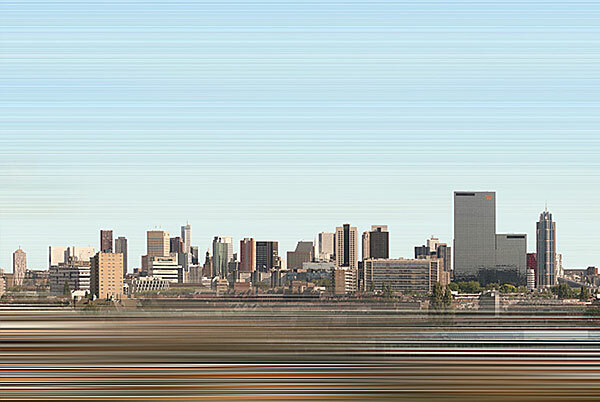 Linescapes: The Rotterdam skyline seen from north and south. 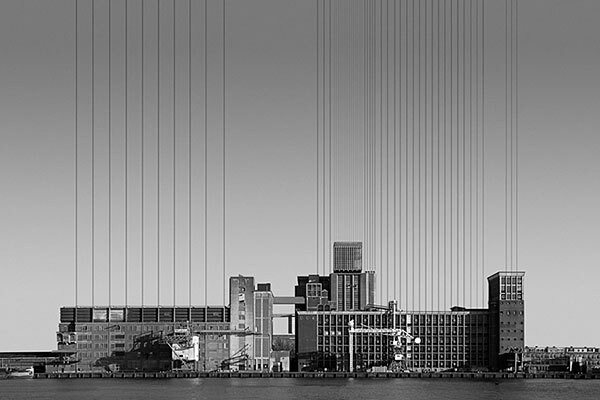 The city consists of horizontal and vertical lines. I accentuated the horizontal lines by giving it a motion blur. 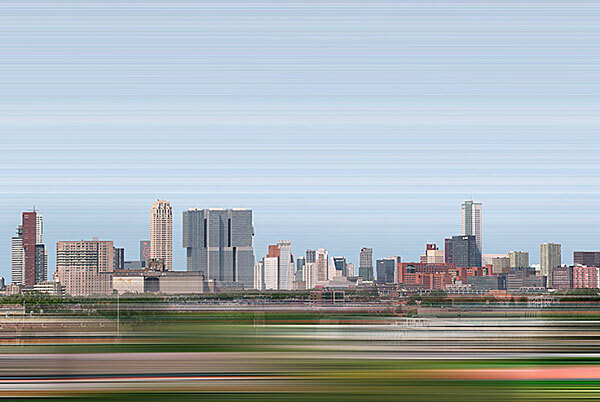 This also gives the picture a sense of speed that suits the city.